When thinking about Plymouth, Mass., the first things that come to mind are Plimoth Plantation, Plymouth Rock, the ocean and great seafood restaurants. Just focusing on these attractions in this beautiful, lively coastal town would be missing the boat, however. Brewster Gardens is located right across the street from Plymouth Harbor, near Plymouth Rock, and can stand on its own as a A-1 travel attraction in “America’s Hometown.” It is simply a beautiful park with walking paths meandering by part of the 1.5 mile Town Brook (once proving drinking water to the Pilgrims), a walking bridge, benches and colorful flower gardens. 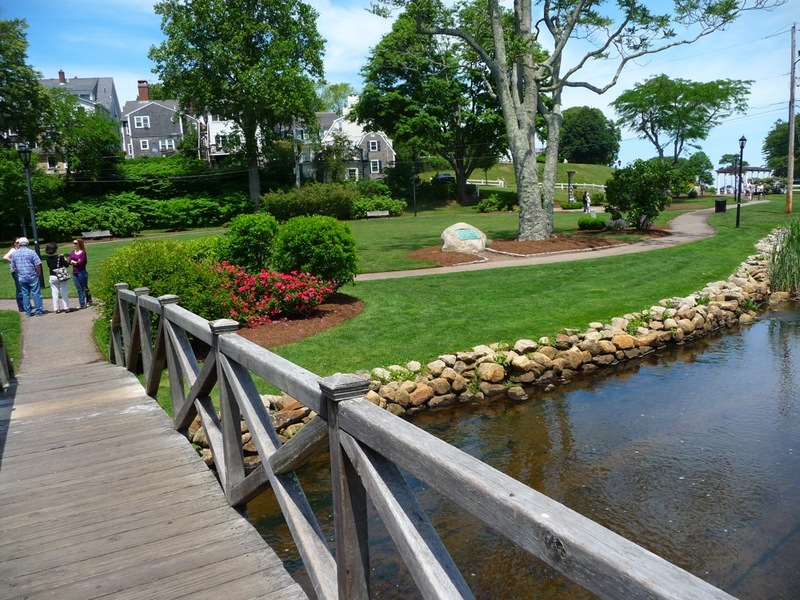 The park dates back to the 1920s when an original garden plot was granted to Elser William Brewster in 1620. The flow of the water and the sound of birds chirping create a soothing soundtrack that just adds to the wonderful overall experience. If you walk a little farther beyond Brewster Gardens you’ll come across the Jenney Gristmill (http://www.plimoth.org/what-see-do/plimoth-grist-mill), a splendid recreation of the corn grinding mill built by the Pilgrims in Plymouth Colony. Brewster Garden’s condition had declined through the years, but is now a restored stunning centerpiece for the public to enjoy. You’ll also see two statues: The Pilgrim Maiden by Henry Hudson Kitson (1922) and The Immigrant Memorial by artist Barney Zeitz (2001), a stainless steel sculpture honoring Plymouth’s immigrant settlers from 1700 to 2000, according to the SeePlymouth web site at http://www.seeplymouth.com/beaches-and-parks/brewster-gardens. 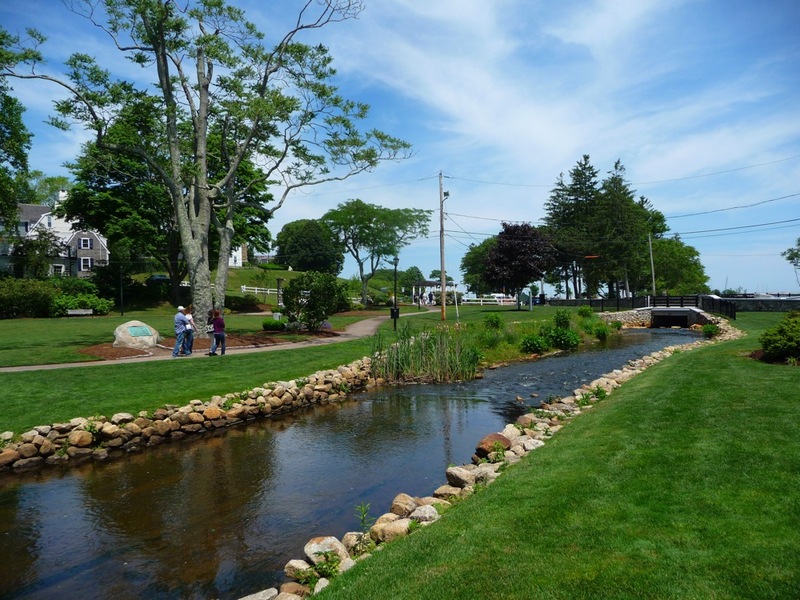 Be sure to make a pilgrimage to this scenic town park! Brewster Gardens is located on the southern side of Water Street in Plymouth.